The amazing thing about fad stocks is most people think they are a sure thing. They think, "The company behind that hot new product must be a great investment," and they can't wait to throw their money at them. However, if you take a second to step back and think about a company and its products, it's usually pretty easy to tell when a product and the entire company behind them is just a fad. I will list a few examples that I instantly recognized as fads to illustrate my point. 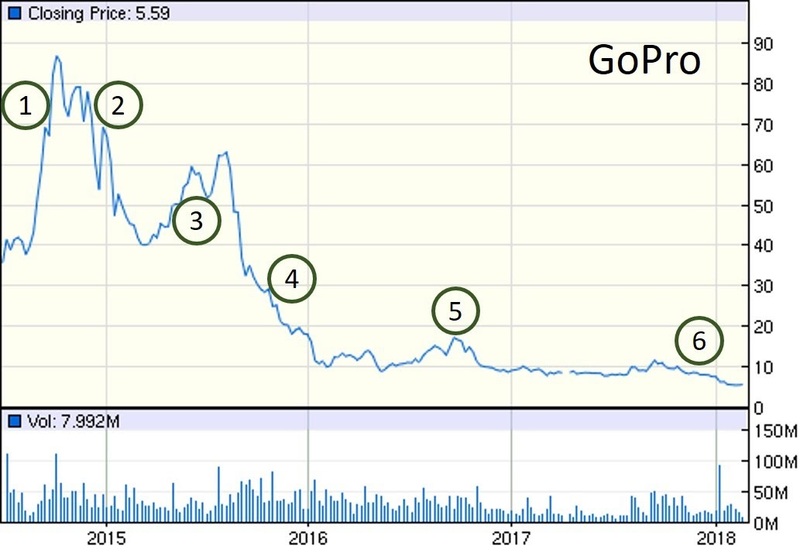 GoPro is my favorite poster child for fad stocks, and a fad company. They basically have one product, which is generally only used by a small segment of the population. Let's face it, not that many people want or need an "action cam." Most of the people who do want one, got one. Now what does the company do? That's right, they have an IPO while the fad and hype are at their peak. Let's analyze the stereotypical performance of a fad stock using GoPro's stock chart below. The first phase after the IPO is a meteoric rise. That happens when hype and enthusiasm for the company are at their peak. Unfortunately, the second phase is a pretty steep decline when everyone realizes this company can't sustain their growth. The third stage is a slightly elevated price that is much more realistic than the initial peak, but relies on the company coming up with their next big hit to sustain. When the company fails to deliver a follow-up hit, they enter the fourth stage, another big drop in price. The fifth stage is when expectations have come way down but there's still a glimmer of hope the company will do something. When the company once again fails to deliver, they hit the sixth stage, a floundering stock price that slowly degrades as the company marches toward irrelevance. 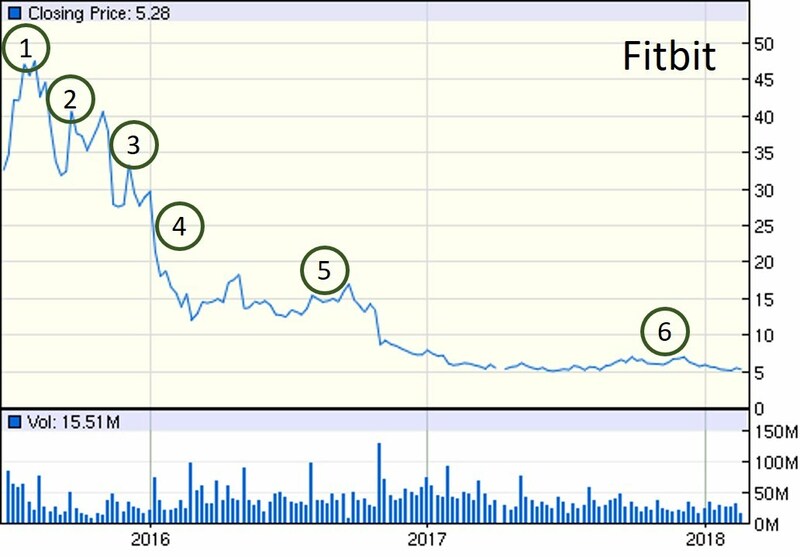 Fitbit was another fad that was easy to spot. I actually had a Fitbit (which I got for free), so it was even easier to see how this fad would end. Everyone loves their Fitbits for the first couple months, then the novelty wears off and charging becomes a chore. Eventually people put it in a drawer and never think about it again. They certainly don't buy another one. That is the perfect recipe for a fad stock. 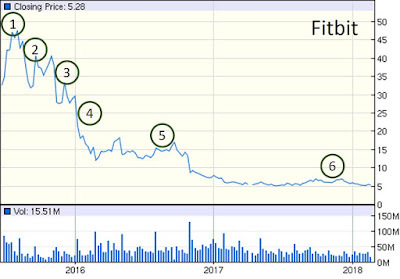 You can see below that Fitbit's stock followed the exact same fad pattern as GoPro's. Those are my favorite examples of fad stocks. But there are more. It's still early, but Rovio and Snapchat are the next fads I'm watching. Rovio is the developer of the Angry Birds franchise. Remember Angry Birds? It was a fun game to pass the time while waiting in the dentist's office, but it clearly couldn't support a whole company for long. They got every cent they could out of the franchise with toys and a movie (how did that happen?) but it was clearly a fad and the company isn't looking good. Snapchat is a fairly popular photo/video/messaging app but it doesn't really bring anything new to the table. There are much more established players out there delivering the same basic product. The concept of disappearing messages seems appealing at first, but it ends up being kind of annoying. Want to see that cute video of your grandchild again? Too bad, it's gone. Snapchat is in even more trouble recently since it changed its design and alienated its most loyal users. Things aren't looking good. So, the moral of this story is don't invest in individual stocks and especially not in fad stocks. It might seem like you are missing the boat on the hot new stock, but you will be better off in the end. You might be thinking you could easily "short" these stocks, but be careful. It's easy to see fads in hindsight, but every once in a while what seems like a fad could be the next Google or Facebook. 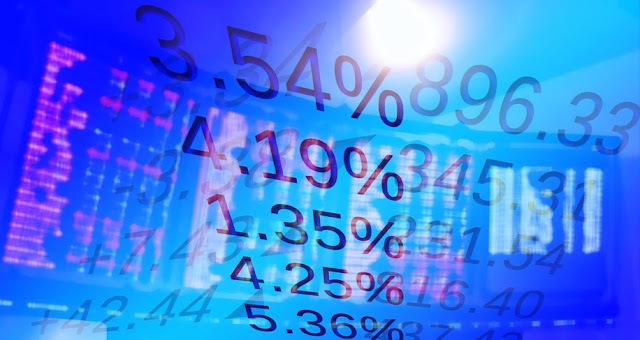 Most people would agree, the best way to invest is in broad, low-cost index funds. That's what we do. Update (4/14/18): I totally forgot about one of the first fad stocks I ever recognized--Groupon. Check out their stock chart and you will see it looks very similar to the other fad stocks listed here. Are there any fad stocks you've noticed over the years? Let us know in the comments. If you want to easily track your investments, we highly recommend Personal Capital. It's a FREE tool that makes financial management fast, easy and secure. Here at Fiscally Free, we use Personal Capital and we recommend you try it today. You'll be glad you did.